Elevators and escalators age like the rest of us. This means, one day you’ll face the challenge of modernising your system to meet legal requirements, increase carrying capacity or comfort, reduce energy costs or upgrade equipment in line with current standards. Whether we’re using components from our extensive product portfolio or an open-system configuration, we ensure the best fit every time. The end result is the right solution for your residential or public building, office or hotel. Whether you need partial modernisation, retrofitting or a full replacement for your lift system, we develop the right solution to meet all of your requirements. We also ensure excellence in terms of solution quality, flexibility, precision and efficiency. For every project, we use our system solutions and first-class lift components with a bespoke approach. Our on-site modernisation team focuses on preserving what is worth retaining and adapting new products to fit existing assets. You can count on our exceptionally broad range of support, from smaller retrofitting projects to full replacement systems, to deliver maximum quality and results. 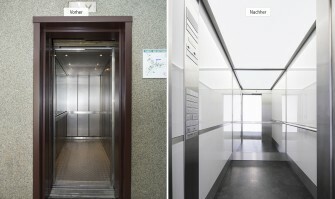 Our work starts with a professional analysis and, together with you, an inspection of the lift. This allows our specialists to provide detailed advice on your modernisation options while taking all of your individual needs into account. In very rare cases, the entire lift must be replaced. For partial modernisation, solutions start with individual components, and even in the event of a replacement system, we enable you to take a flexible approach to the building interface. This way, no dust is created, a structural engineer's services are not required, and noisy construction work can be avoided. You can count on us to identify and install the most efficient solution in your building. Our focus is always on perfecting the interaction between new and existing components. Even the smallest measures equip your system with new functionalities, the highest reliability and enhanced safety. thyssenkrupp's new modular modernisation solution can adapt to all existing installations, regardless of the component type and its manufacturer. We modernise the installation and extend its life, while protecting the environment and your budget. Widely used and tested technologies, plus flexibility in parts supply are the perfect match for your modernisation project. Guaranteeing more reliable installations in terms of accessibility, quality and performance, including flexibility in choice of your maintenance provider. Our expertise offers superior service ensuring that even small measures updating efficiency and reliability can lead to maximum success in improving installations. Download more detailled information about our modular modernisation solutions for Schindler Smart and KONE Monospace or contact us directly to get an offer. The challenge with replacements is that every lift shaft is different; door spaces and ceiling openings vary from building to building. To maintain your building's support structure, we strive to keep the ceiling openings and door lintel supports as they are, and to use the existing guide rail fastening systems, if possible. We take ‘made to measure’ very seriously. Our system solutions, available in increments of one millimetre, make the best possible use of the existing shaft and avoid additional masonry, cutting and painting. 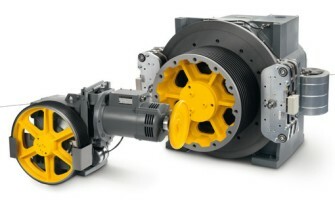 This not only limits your costs, it also reduces the amount of dust and noise produced by the modernisation. 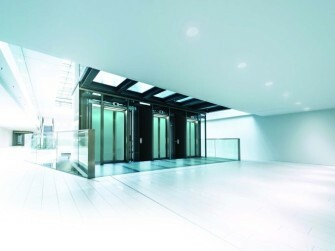 Our solutions range from very small lift systems to our high-end TWIN® system. The latter offers entirely new possibilities for expanding transport capacity within the same shaft footprint. 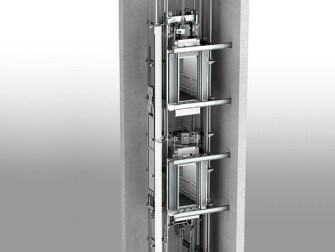 Wherever existing elevators have reached their capacity and there is too little space to install additional ones, our space-saving TWIN® innovation is the ideal solution. 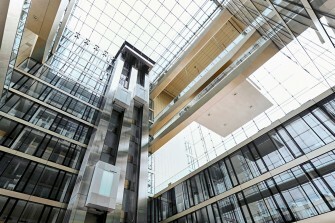 It features two independent cabins, one above the other, in a single lift shaft. If you're looking for first-class components, you've come to the right place. We offer high-quality lift components with flexible interfaces for use in existing structures and systems, individually or in combination. Our commitment to the highest quality is reflected in the efficiency, safety, innovation, reliability and convenience of every one of our products. 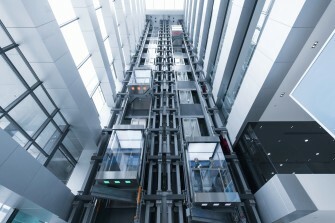 Together our lift components form an intelligent and seamless system solution. 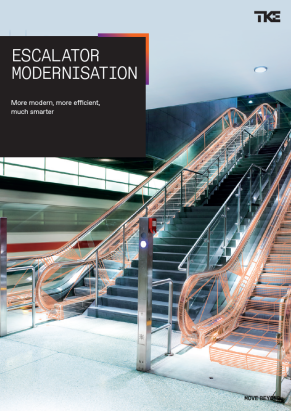 For more information download our modernisation brochure. In addition to bringing your lifts up to date, we also modernise your escalators, moving walks, exterior access systems and other passenger mobility systems. 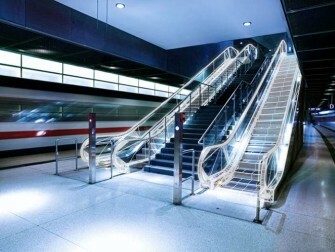 For escalators and moving walks, we replace individual components such as steps and handrails, or if necessary, the entire system. Looking to modernise another type of system? Have questions? Contact us.